Welcome to the Pinterest for Business series, in which we explain how Pinterest works and share tips on how to use Pinterest for business. This is part 3 of the series. 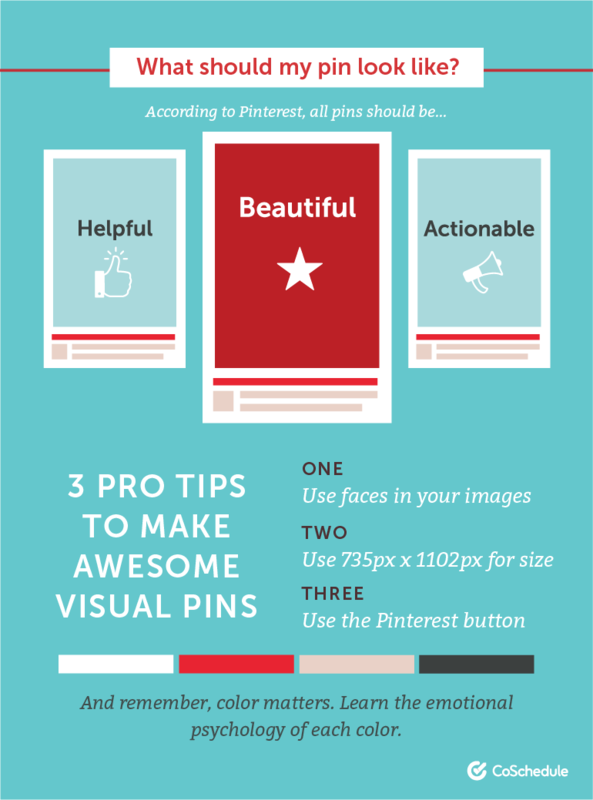 Does your business have a successful presence on Pinterest? Is it effortless for you to get Pinterest followers? The social network doesn’t get as much attention as buzzworthy networks like Facebook and Instagram, so it’s likely not the first that comes to your mind when brainstorming where to engage with your audience and grow your brand. However, the fact that it may fly under the radar is a huge benefit to social media marketers. While brands are struggling to stand out in saturated, crowded places like the Facebook news feed (whose organic reach has never been lower), you can take advantage of Pinterest, a medium where niche communities thrive, visual content wins, and an audience is waiting for you — if you know where to find it so you don’t have to buy Pinterest followers. There are many ways you can get Pinterest followers for free. In this post, we’ll walk you through the process of growing and engaging your Pinterest audience, inspired by successful brands that cracked the code of how to get more followers on Pinterest. Don’t forget to take notes of these Pinterest followers hack! The first step in getting Pinterest followers is making your profile easy to follow. You want your whole Pinterest presence, from your name to your board descriptions and image names, to be designed to bring the right followers to your profile. This is the first mistake most social media marketers make on Pinterest. Unlike with Facebook or Twitter, people don’t go to Pinterest to socialize with others, they use it to find things. They’re searching and browsing, discovering new things to try, etc., as if they’re using search engines. “The most successful thing I did was stop thinking about Pinterest as a social media platform and start thinking about it as a search engine. For years, I had been applying search engine optimization (SEO) to my blog posts and getting more traffic from Google, all while neglecting my Pinterest account as an afterthought. One day it clicked: what if I use the same strategies on Pinterest that I’m already using to get organic traffic from Google?” Melyssa explained. So what does “treating Pinterest like a search engine” actually mean? Thankfully, it’s a lot simpler than dealing with Google. In fact, simply making an effort to research strategic keywords and use them in all parts of your Pinterest presence can provide big gains. Just like with web SEO, you don’t want to speak in nothing but keywords and jargon. So instead of writing keyword-heavy pin descriptions stuffed with unnatural keywords, use natural-sounding keywords in different areas of your profile, like your bio plus your board and pin descriptions. Just like with Google SEO, you don’t want to randomly select words to optimize your content around. You’ll want to make sure that you’re selecting keywords people are using, and create keyword lists. Brian Lang suggests starting with Google’s Keyword Planner, but remember that information from it should be used more as a guide, as people use and search for things on Google differently than they do Pinterest, plus they attract very different demographics. Later in this post, we’ll also talk about Pinterest suggested hashtags, which can be helpful for keyword research. In addition to conducting keyword research, it’s important to think about your own customers, clients, and target audience. Words and phrases may be popular on Pinterest or Google, but they’re not the way the people you’re looking for would describe things. “You need to make sure you are using the keywords your ideal client would be searching for,” says Rachel Ngom, CEO at She’s Making an Impact. You don’t want to attract a Pinterest audience that’s the wrong audience for your products and services. For example, if you specialize in gourmet food recipes and supplies, you wouldn’t want most of your followers to be mothers looking for easy snacks for their children. Like all social media marketing, you need to formulate a plan first. Because Pinterest is used differently than other networks, the content and approach you take on say, Instagram or Snapchat, likely won’t be your most successful strategy on Pinterest. When it comes to creating content that gets followers, remember to think about your target audience and how they would use the site. She was able to generate 700 qualified leads for a free challenge and ebook this way. If she had been talking about anything related to health at all, her launch could have made much less of an impact on a less qualified audience. From its early days, Pinterest has had a reputation for being mainly about food, fashion, and makeup and mainly for women. But in reality that has never been the only content or people there. In fact, according to Pinterest, 50% of all new signups are men. Before creating new content for Pinterest, look at what your niche or audience has enjoyed most in the past. Researching viral pins or popular visual content trends can help you design pins that will attract and convert a new follower. It’s important to be active on Pinterest regularly, whether you’re engaging manually or scheduling pins in advance, as you’ll see many experts have success with. Pinterest’s smart feed loves new, fresh content, so it’s important that your account never gets too stale. You can regularly engage your Pinterest followers by creating visual content, repurposing content from other places, and curating content from other people. Because infographics can easily convey information and are optimized for Pinterest’s feed, they’re a longtime favorite on Pinterest. “I have noticed that [infographic pins] get the most engagement of all the content I’ve posted to Pinterest and they drive the most traffic by far of anything I post to the platform,” says David Erickson, VP of Online Marketing for Karwoski & Courage. It’s not an uncommon claim! Lots of brands think that they can’t succeed with Pinterest because they don’t have a lot of “pretty” content. But Pinterest is for more than that, and any of your existing content can be conveyed in a way that works on Pinterest. For example, infographics are very popular because they visually convey information well, and can be optimized for Pinterest’s ideal dimensions easily. They’ve even analyzed infographics on Pinterest to determine which types do best, so you can adjust your visual content based on that as well. One of the golden rules of social media is that not all of your content should be about you. On Pinterest, not all of your content should be created by you. Curation is an important way to engage. Studies have found that around 80% of Pinterest content is repins. While contributing original content to be repinned by others is important, you also need to be sure to do the same in return and participate in the Pinterest community by engaging with other people’s content. “By repining relevant non-branded content, you will increase the likelihood for your profile name to show in feeds. Remember, Pinterest starts at the pin-level,” reminds Marissa Heckman, Organic Social Media Project Manager at Power Digital Marketing. When you are creating your own content for Pinterest and designing new images, keep Pinterest’s user interface in mind. Create images that are longer than their width to make the most of the real estate each individual pin can take up inside the feed, for example. Like other social media channels, Pinterest moves fast, and content can be pushed out of the feed quickly. It’s important to reuse your best Pinterest content to resurface it in front of new audiences in the feed. 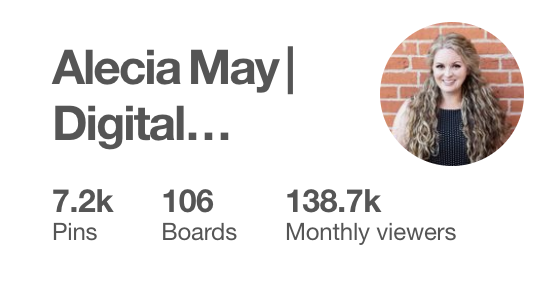 “I use BoardBooster to continuously re-pin the pins from specific boards on my account, especially my blog articles, podcast episodes, and my highest traffic boards. BoardBooster removes the lower performing pin after a couple days so there are no duplicates! By keeping these pins in the view of users, they receive higher engagement, my Pinterest followers have doubled, and Pinterest is one of the top referral sources for website visitors!” says digital marketing strategist Kim Sutton. Now that Pinterest has officially given the go ahead to hashtag your Pinterest presence, it’s time to start taking advantage of them to grow your following. Using hashtags for the different keywords you’re targeting, the phrases users are searching for, is a great way to get started with them. They could help your pins get discovered through those searches. “Using hashtags is a good way to get recent Pins into an alternate search on Pinterest. People can see who Pinned and easily get to their profiles and follow from there if they want to,” says Alisa Meredith, Content Marketing Manager at Tailwind. Pinterest specifically mentions that you can use up to 20 hashtags on a given pin. However, Pinterest hashtags are different than something like Instagram, where a lot of general hashtags are popular. Instead, use only as many hashtags as needed. Depending on how specific your content or target is, that’s likely less than 20. Did you know Pinterest had suggested hashtags when you’re typing in pin descriptions? Play with suggested hashtags in your pin descriptions to find relevant ones for your pins. These can also serve as useful keywords to target with boards and other keyword optimization. Don’t forget about other Pinterest users too! While people may not use Pinterest in the same ways that they do Facebook or Instagram, there are lots of ways besides liking and Pinterest commenting to interact and engage with other users in the Pinterest community. There’s simply interacting and re-sharing others’ content on a regular basis. As people check out who’s interacting with them, genuine interest will be noticed. One great community feature is group boards, where multiple people can collaborate to contribute pins around the same topic. Because the board is shared between their profiles and audiences, it can be a great way to get your profile and pins seen and grow your followers. If you want to go beyond using other people’s group boards to expand your audience, you can grow your following even further by starting your own. As you’re featured as the curator of the board, your visibility grows as it grows. “I created group boards with lots of high-quality pins and then invited others to join in. I kept the group boards totally open so other bloggers could invite their fans and followers to join as well. Some of my group boards have over 3,000 contributors which have led to a huge growth in pins and followers,” says Liz Thomson of I Heart Vegetables. The popular Pinterest marketing tool Tailwind has a great feature called Tailwind Tribes, which lets you join together with a group of other pinners to easily share and repin each other’s content. “It’s an incredible feature from Tailwind that allows you to share your pins in the tribe, and share other people’s pins from within the tribe. It has grown my reach an insane amount!” Rachel raved. One of the smartest social media marketing tactics to keep in mind is to always leverage your existing audience where you can. You’ve already built a customer base, an email list, a following on other social media channels, etc. You can and should use those people to grow your Pinterest following. When you’re creating content that will be promoted on Pinterest, you’ll want to create optimized images for them. But you can take it one step further. Instead of uploading a pinnable image to your blog and hoping readers pin it and share it with their own followers, incorporate pins themselves into blog posts. 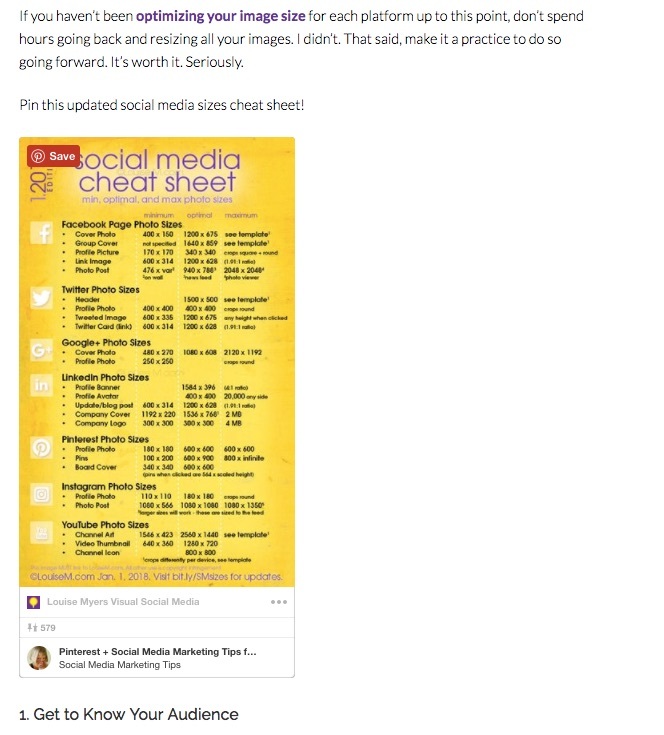 Once you’ve uploaded an image to Pinterest, you can embed it in blog posts to encourage repins, which makes it easy to follow your profile as well. Another great way to get your existing audience in other places to follow you on Pinterest is to include a clear and direct call-to-action button inviting readers to engage with your other content on Pinterest. That one blog post alone has been pinned over 108,000 times! 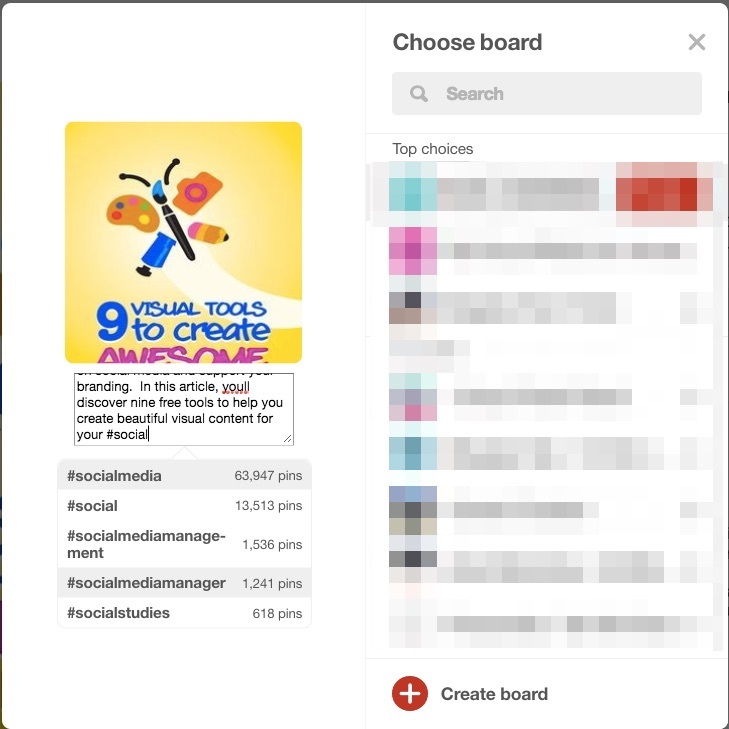 Or, try linking to one of your most popular boards in a customer newsletter as a way they can engage with you, or tweet out an invitation to your group board. Once you have a Pinterest marketing strategy and have been implementing it for a short period, it’s time to analyze it and adjust accordingly. Learning what’s working and what’s not is the key to any social media marketing strategy. Plus, Pinterest’s analytics have helpful information for techniques like influencer marketing and finding group boards to join. “I recommend Pinterest Analytics. Once you’re logged into Pinterest, click the upper left, then “People You Reach” then Interests. Toggle to Your Followers, not All Audiences. Then scroll down to see Brands: Businesses Your Followers Engage,” she explained. If you’re adjusting a social media and content strategy for Pinterest, use Pinterest analytics and website analytics to learn and determine how your content from other channels performs on Pinterest. You can then optimize which content you share there around that. For example, if your company’s blog post tutorials receive a ton of engagement there but industry update blog posts don’t, adjust your content strategy to use less industry news on Pinterest. 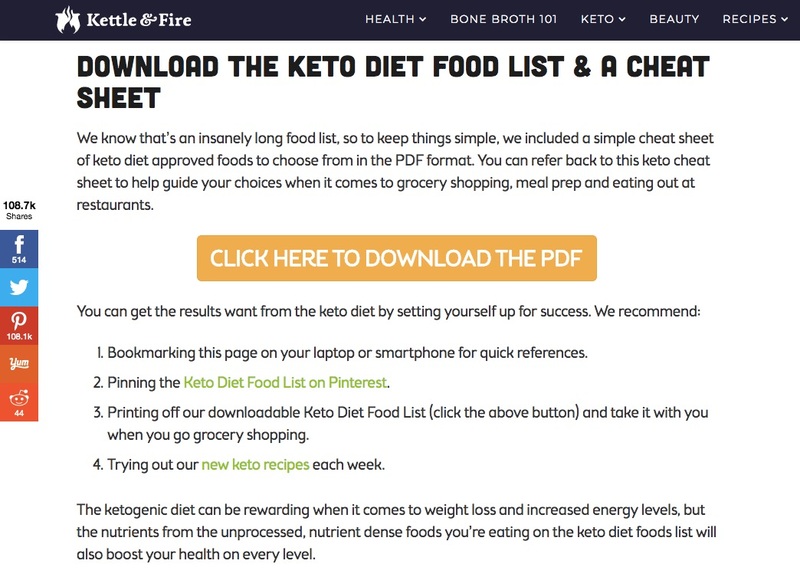 Finally, even though it’s great to get Pinterest followers for free with the aforementioned Pinterest followers hack, we’re in an era where organic social media often needs to be supplemented by social media advertising. While Pinterest promoted pins don’t get the buzz that something like Facebook advertising does, it’s a great option for brands with niches that do well on Pinterest. Promoted pins have even been found to get a lot of engagement once the paid campaign has ended. Want An Effortless Way to Get More Pinterest Followers? In addition to using the tactics above, you’ll effortlessly grow your Pinterest following by implementing our Pinterest follow button. The ShareThis Pinterest follow button is mobile optimized, lightweight and easy to configure and install. Check it out!